$0.99 (regularly $3.99) 10/10/2016 - 10/17/2016! 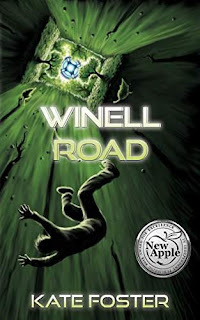 Winell Road might just be the weirdest street on the planet, at least 12-year-old Jack thinks so. But after his UFO encounter and a visit from three little green men, weird just got weirder! Mystery, thrills, and humor. An award-winning middle grade adventure for fans of Men in Black and Ben 10.